Our workshop / studio / showroom is located in Barcelona in a farmhouse from the seventeenth century. After a deep rehabilitation process has become a creative and versatile space where we develop our creations. Since the opening we tried our study to be a meeting point with other artists, filmmakers, musicians or designers with whom we could discover commonalities, with the aim of collaborate and share different projects. In 2015, thanks to our growing interest in the broadest spectrum of our pieces, we moved forward and decided to collaborate with two good friends, Sebastian Perez & Roger Amat. 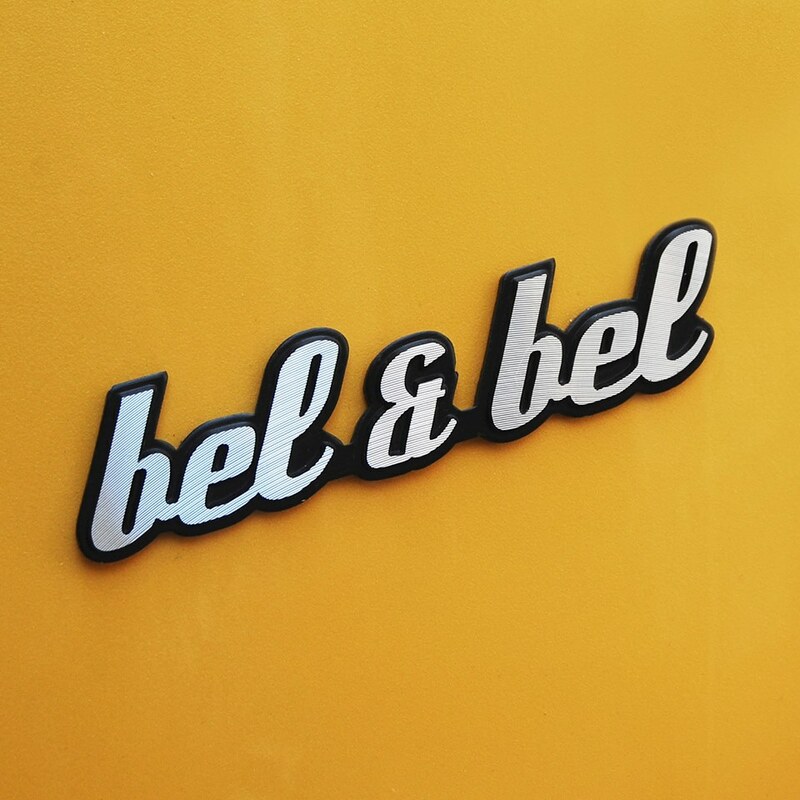 They have helped us to turn Bel & Bel into a brand with higher productive potential. Our initial decision to work with waste materials was born of a ecological thought: the recycling. We are surrounded by objects falling into disuse. Everyone is cleared from what is no longer interested and what is making them bored (if planned obsolescence not do it before…). 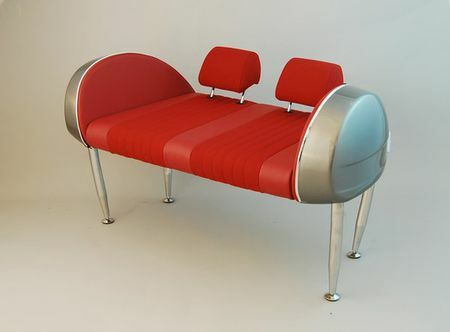 We also believe that some design lines remain the same or greater value than the current ones. And can be given a new use, a more artistic and durable new life. We believe in making solid pieces and unique designs that endure over time, as opposed to the current mass production. We support responsible production. 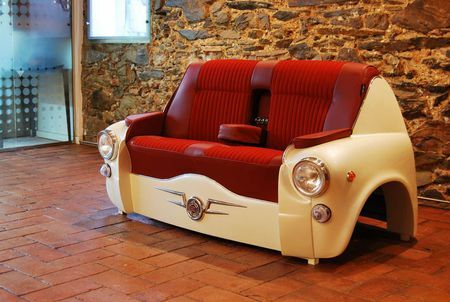 We trust our parts as they are some of the designs from the past we admire, as the legendary motorcycle Corradino D’Ascanio or our beloved SEAT 600, which somehow were built to last lifetime. Our artistic production aims to draw attention to the so-called planned obsolescence. A result of modernity and towards which we position totally contrary . Thus, we can speak of “creative recycling” or “upcycling” where the principle of the three “R” (Reduce, Reuse, Recycle) applies, but now using the latest technology and renewable energy. In Bel & Bel we are creative and contemporary artists. We observe, live and adapt art and technology surrounding us. 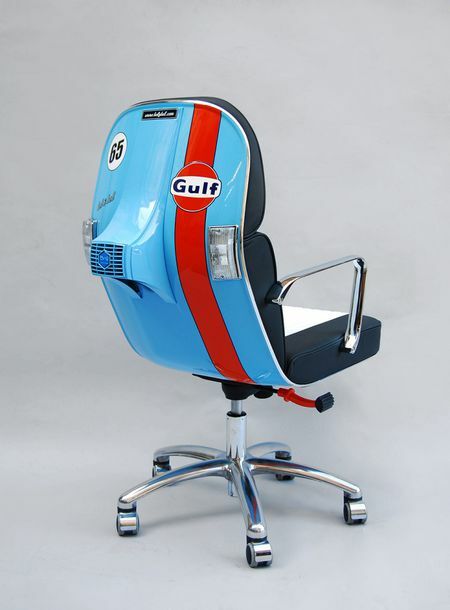 bel&bel Scooter Chair is made from original parts of the legendary Italian scooter from the 80’s. 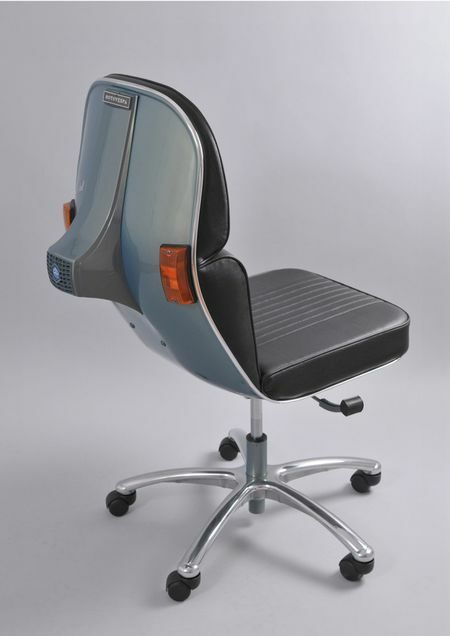 Re-using the chassis we have created an original and unique model of swivel chair. 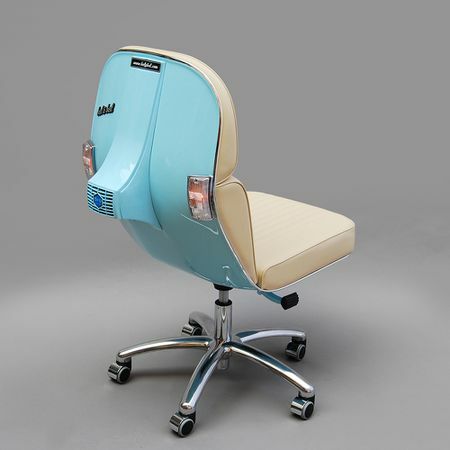 Our Scooter Chair is manufactured, customized and handmade in full by bel&bel. It is a numbered series what makes each piece unique. All come with a bel&bel certificate of authenticity. The chair has a reclining feature, a reinforced internal structure and a base with hydraulic piston to regulate and adjust to the most convenient height. 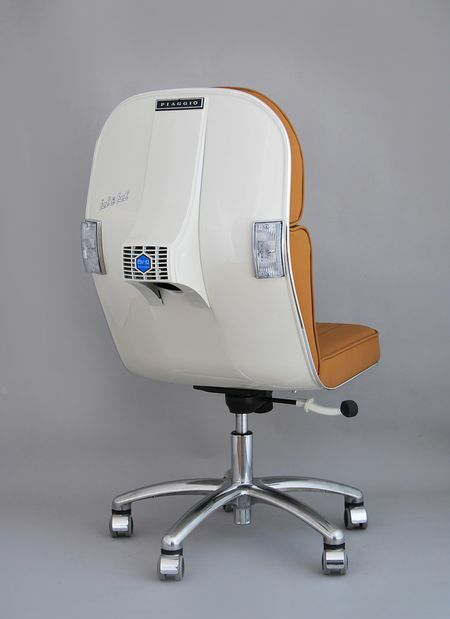 It is a very comfortable ergonomic chair, imitation leather upholstered and soft tread silent wheels. Its traditional character and high-end components only makes it a unique product and a great sample of contemporary design. It is also a piece emotionally charged for all lovers of this classic and iconic motorcycle. 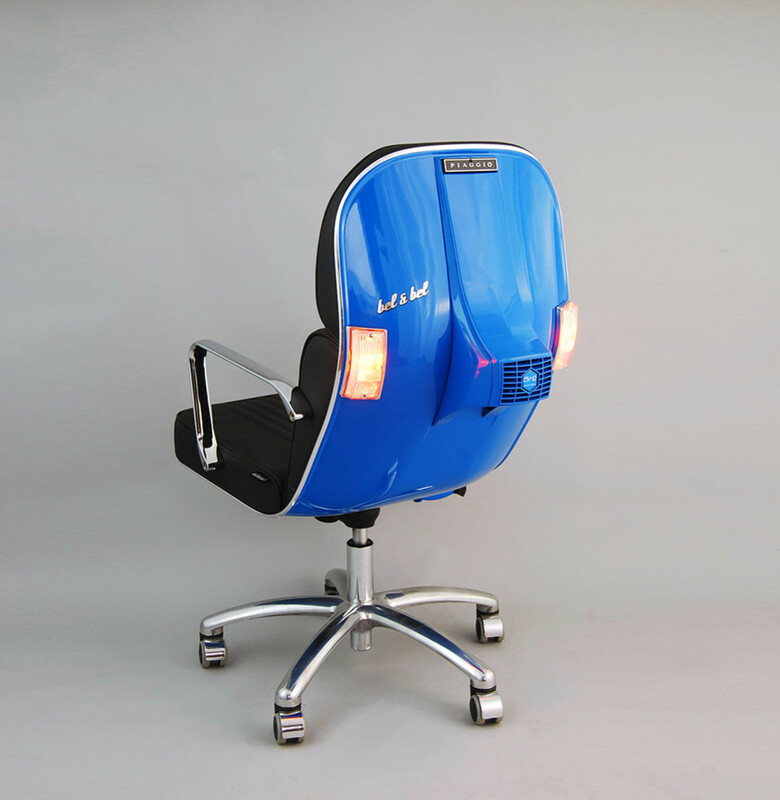 Base model can be customized with a wide variety of extras (if you are interested in customizing your chair or need more info please contact us here).